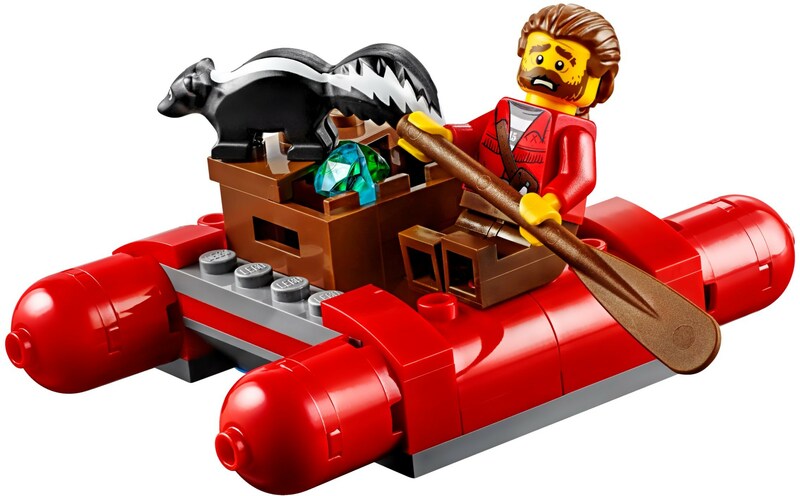 60176 Wild River Escape Review! Hey guys! Today I have a LEGO City 2018 Mountain Police set review – 60176 Wild River Escape! This set retails for £12.99 (UK), $19.99 (U.S.), $22.99 (Aus), and $26.99 (NZ), and contains 126 pieces. I am really happy with the country-to-country price ratio, so let’s hope the rest of the set is just as good! 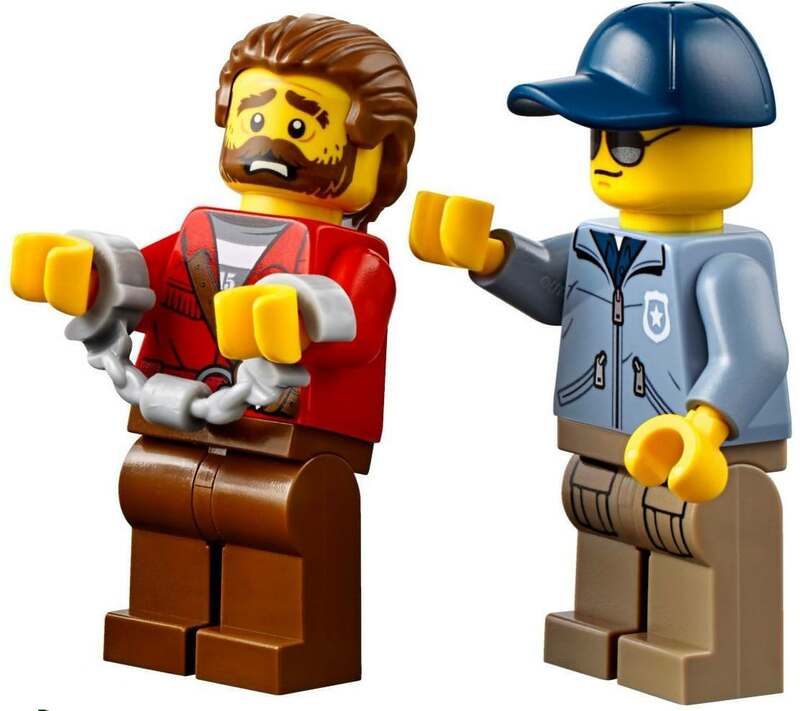 There are two minifigures included in the set – one robber and one police officer. The criminal is supposed to be, I believe, the same dude who was bathing in 60173 Mountain Arrest. 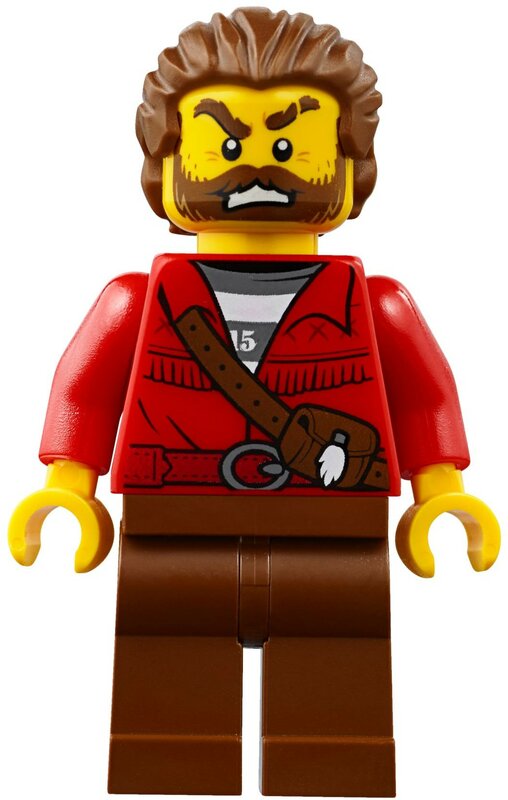 However, he now wears his red jacket and brown pants – no more dual-molded boxers! He has a double-sided face with a scared expression and a snarl on the other side. 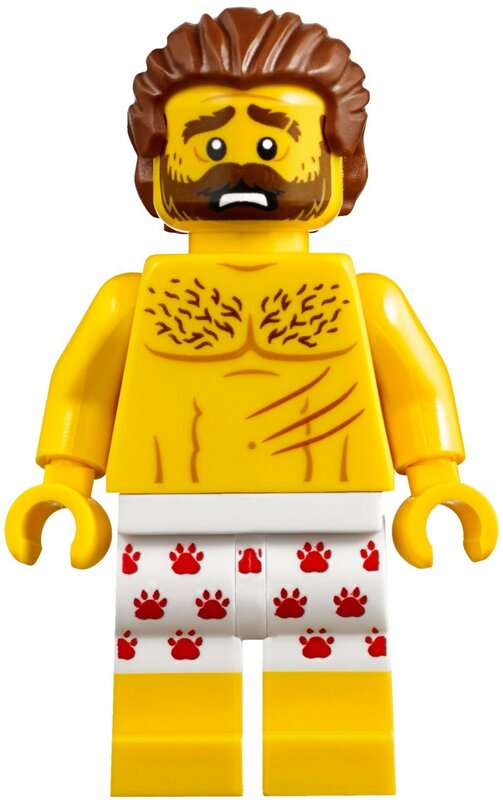 The other minifigure is just a regular Mountain Police officer. He wears a sand blue hoodie with a police badge on it and just the regular dark tan pants (with printed pockets). He wears a dark blue cap and sunglasses. 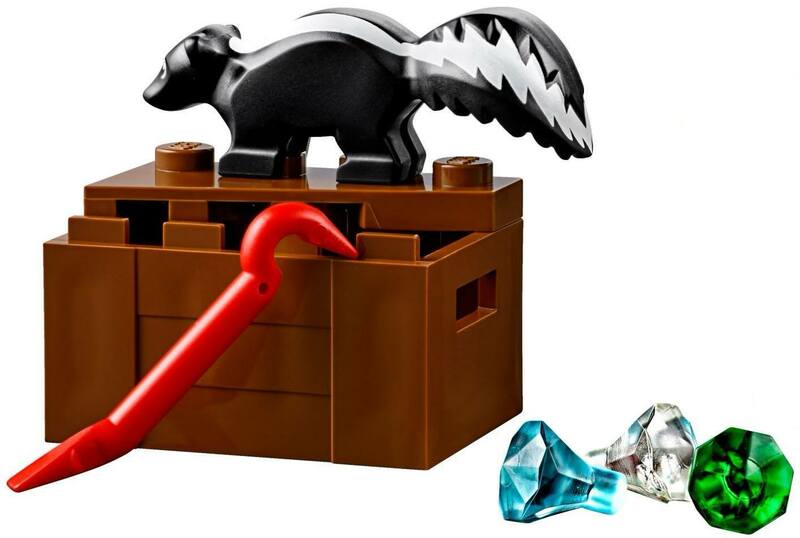 There’s also a crate and a skunk included too. The brown crate has a few jewels inside (trans blue, clear, and trans green). The crate is half-covered with a angled plate. There’s also a red crowbar included for the crook. The skunk is not a new piece but I don’t think it’s very common so it’s a welcome inclusion. He’s a stowaway on the criminal’s raft! Speaking of the raft, here it is. 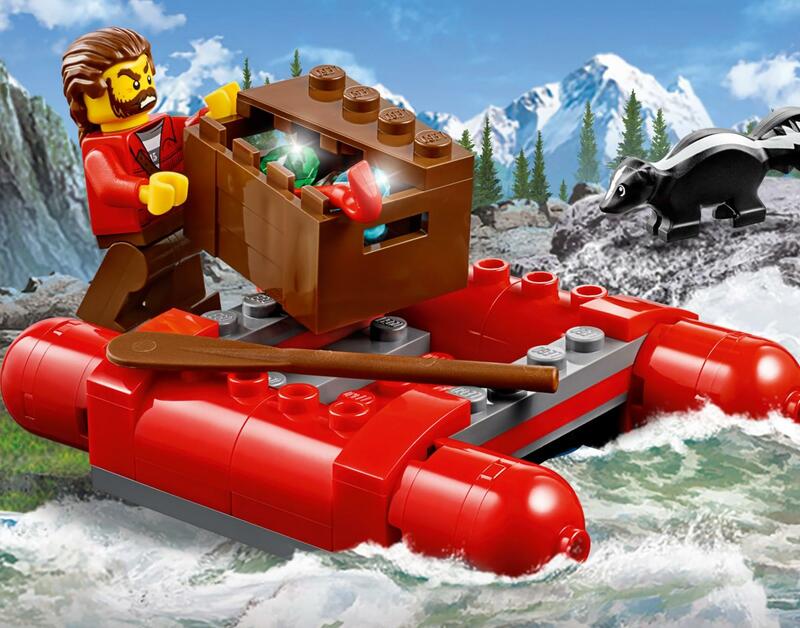 I kind of like this as I don’t think there are many rafts like this one in LEGO’s history. It’s bright red with some dark grey, and looks like it has sausages on either side 😛 You can load the crate onto the raft. There are a couple of 1×4 plates with two studs each for an easy connection. 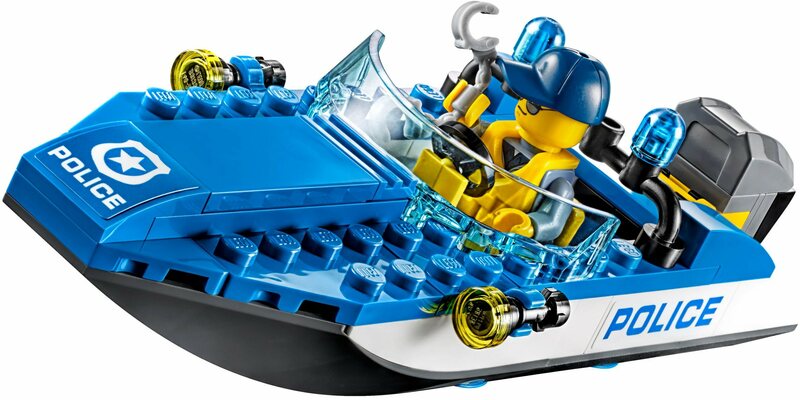 After that you can sit the minifigure on the side and furiously paddle away from the police officer’s speedboat! Just watch out for the skunk! The police speedboat is not a very complicated build, but it looks good in my opinion. There’s a seat for one police officer with a steering wheel in the middle, with some blue siren lights behind. There are also a couple of searchlights on either side and a stickered 2×2 curved slope at the front with the police badge. Further “POLICE” stickers adorn the white stripes on either side of the boat. There’s also an outboard motor at the back that can be folded up. I also like the curved translucent light blue windscreen. So, do I like this set? Definitely yes. The builds are good for what they are, the minifigure selection is quite good, the playability is good and the price is great – bonus points for the country-to-country ratio. Some Kylo Ren vs. Luke Skywalker Crait Wallpapers! 70639 Street Race of Snake Jaguar Review!